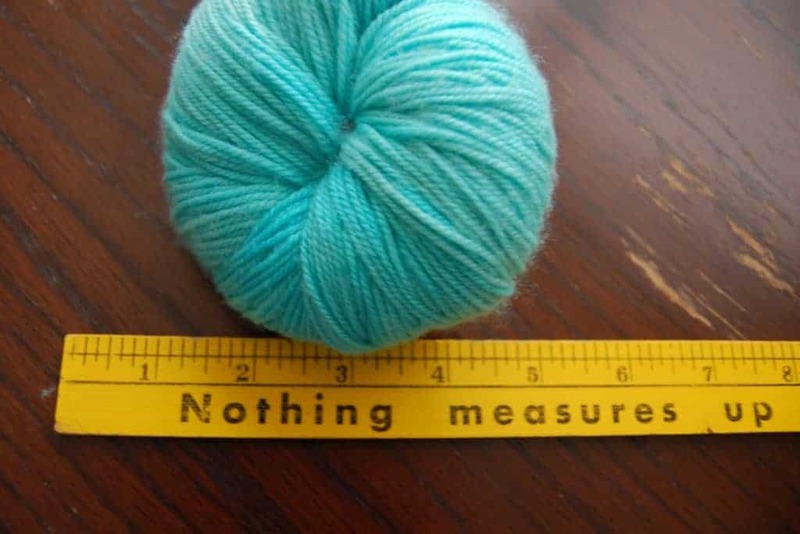 The knitters I know do so many amazing things when they’re not creating garments out of sticks and string. My friends include lawyers, editors, techies, teachers and at least one neuroscientist. Carrie Sundra of Alpenglow Yarn had a career designing and building electronics, until about five years ago, when she decided to do a complete about face and become a natural dyer. But Carrie didn’t leave her fascinating background far behind, and last year she combined her two seemingly disparate worlds and invented the SkeinMinder. 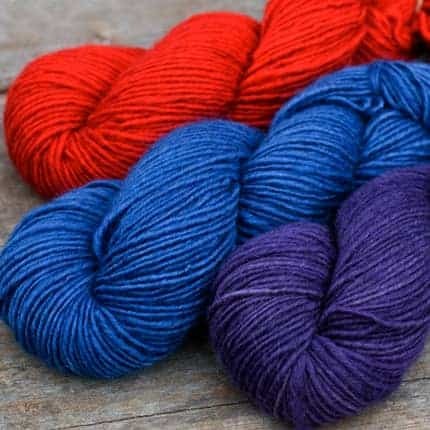 I’ll let Carrie take it from here, but make sure to check out her recently-launched Kickstarter campaign, which includes some amazing yarny rewards from several indie dyers, including Canon Hand Dyes and Pigeonroof. And, if you’re at Stitches West this weekend, visit Carrie and see the SkeinMinder in action in booths 936/938. What did designing and building the SkeinMinder entail? It started with an idea, and the first thing I did was build a proof-of-concept model. I hand-wired together some plug-and-play components that I got from various hobby electronics sites, and threw them in a cardboard box. That was the quickest and cheapest way to get something up and running, and I wanted to quickly get into the programming, to find out if the idea as a whole was feasible. But that “device” wasn’t something I could give to someone else to use — nothing was soldered, so it wasn’t very portable, and it was easy for wires to pop out or to accidentally short something out. After I was satisfied that I had a decent core concept, I made the first SkeinMinder prototype. I still used off-the-shelf modules, but this time used smaller components, soldered them together in my workshop, and enclosed everything in a plastic box. Then I could actually hand it to someone else to use without it falling apart, so I immediately gave it my dyer friend Brooke of Sincere Sheep. After she had used the prototype for a while, I buckled down and did all the custom design work for the what I call the pre-production model. I designed everything as if I were intending to manufacture 100, but only had about a dozen made. I used CAD software to design custom circuit boards, which were manufactured by a company in Oregon. I soldered the components on the circuit boards myself to save on cost, so that was two days of fun, peering through a microscope and sniffing fumes! I found an enclosure that was pretty close to what I needed and had it custom machined to fit the circuit boards, the LCD, and the buttons. I enlisted the aid of a graphic designer to create the overlay, which was the final main interface piece. 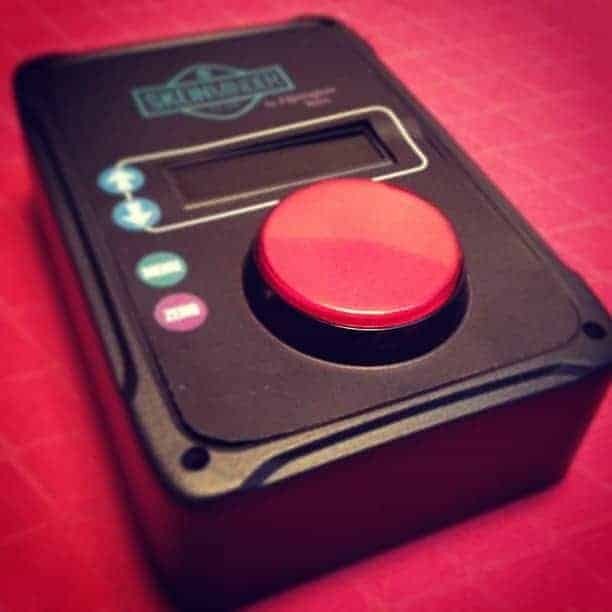 At that point I was really setting up a mini first production run, so it was a lot of talking to manufacturers, figuring out who would even do “prototype” quantities, and who would do it at a price that wasn’t completely prohibitive. I was really fortunate — I had been talking to a few dyers about the idea, and they had enough faith in me that they bought their beta units when only about 60% of the design was finished. This enabled me to have those custom parts made, and deliver them a beta unit that was quite polished from the start. How did the device change through testing? There were tons of little things that added up to make a big impact! You may think that winding is winding is winding, but every dyer has a slightly different setup. We use different winders, different swifts, we wind at different speeds, different lengths, different skein circumferences, different amounts of tension. I really had to make the SkeinMinder more customizable than I originally thought. I added several user-adjustable settings — not only can you set what count to wind to (i.e. the length of the skein), but you can also adjust for the amount that your winder free-wheels after power is cut, what length of time passes before the SkeinMinder decides the yarn is jammed, and you can even turn the “minding” part off entirely if you want to use your winder “normally”, without an automatic shut-off. I really wanted it to work for everyone, not just people who have my exact setup. Probably the funniest change was the OFF feature. I made the very bold move of not having an on/off switch on the SkeinMinder. There are actually good reasons for this — power switches are kind of bulky and expensive, and it’s one more thing to have to wire by hand. Which means there’s more assembly time and cost, and also one more chance of making a mistake and mis-wiring it. So with the original software, the only way to turn the SkeinMinder off was to unplug it. That didn’t go over super well, as it turns out! So I added an option to turn it off with one of the existing buttons, and people were generally happier. 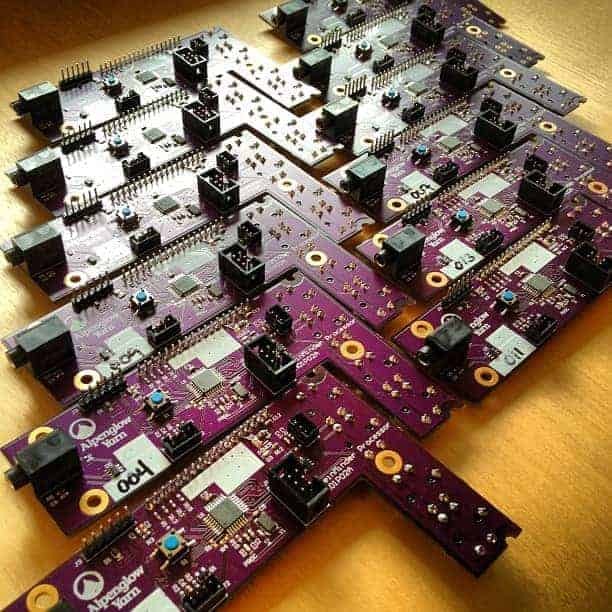 What other kinds of electronics have you designed and built? I designed and built avionics hardware for small unmanned aircraft for… I guess close to 15 years. Wow, time flies! 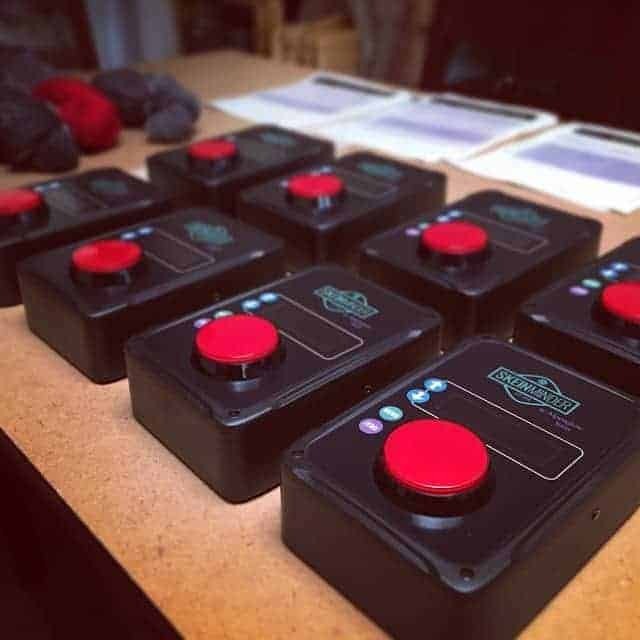 The projects encompassed everything from the sensors and microprocessors that controlled the airplanes, to interfacing with small cameras and distributing analog video, to custom little GPS modules, to some power conditioning and driving little motors, to custom connectors. A couple of the planes I worked on are in the Smithsonian, and that’s kinda cool. When did you first learn to knit and how did you become a dyer? Why did you decide to use natural dyes? It just spoke to me. It’s challenging and technical, and requires some knowledge of science to really understand what’s happening. So all that spoke to my techie geek side. It also has deep cultural and historical roots going back thousands of years, which is fascinating to learn about. Just as interesting is the fact that it was dropped like a hot potato around the turn of the 20th century, in favor of synthetic dyes. In our culture, not many people do it anymore, and even fewer people concentrate on creating really bright, saturated colors. So there’s a bit of wanting to keep this knowledge alive and in use. I also get a lot of satisfaction from actually creating a color from scratch. When you dye with logwood chips and see your yarn turn dark purple, or make an indigo vat and watch the yarn turn from yellow to blue before your eyes… it’s kind of magical. Do you think your engineering background informs your dyeing? Oh, definitely! I would say that technical troubleshooting is a skill that applies itself quite handily to natural dyeing. Try as I may to be as consistent as humanly possible, the unexpected always pop ups. Then I have to figure out how my process was different this time, and how exactly that affected the dye and the final color. Sometimes I’ve had to run controlled experiments, where I dye little test skeins and change one variable at a time, until I finally figure out what happened. With hand-dyed yarn, and with natural dyes especially, it’s impossible to control every variable. My weld this year won’t yield the same amount of dye as my weld last year. When I move, my water may be different. The heat profile and temperature uniformity in the pot is different depending on if I use a hot plate or a propane burner, and it also changes depending on how full the propane tank is! But that’s also the fun of hand-dyed yarn, it’ll never be quite the same twice. This entry was posted in Q&A and tagged indies, interview, yarn. You’re welcome! I was very intrigued when Carrie first mentioned her invention.